BHU UET 2019 - Banaras Hindu University will conduct BHU UET 2019 for admissions in undergraduate programmes of the university. The application forms of BHU UET 2019 were released on February 10, 2019. Earlier, Banaras Hindu University had closed the application window of BHU UET 2019 on March 16, 2019. BHU opened the application window for candidates who had registered themselves on the portal but could not complete the application process on April 7, 2019 (11 pm), which is now closed. The application window was open only for 24 hours till April 8, 2019 (11 pm). The admit card of BHU UG 2019 will be released one week before the examination. BHU Undergraduate Entrance Test also known as BHU UG 2019 forms the basis for aspirants’ admissions to various undergraduate general courses including B.A., B.Sc., and B.Com. Candidates willing to apply for the courses had to register themselves with the entrance test portal on the BHU website and fill up the application form. BHU UET will be held from May 12 to 15, 2019 across 115 centres in India as a computer based examination. BHU UET 2019 will be conducted in offline mode across 45 cities of the country. Admissions to BHU will be decided on the basis of merit in the entrance test, subjected to the fulfilment of eligibility requirements and the number of seats available in the course applied and appeared for. For more details on the BHU UET 2019 like important dates, application process, eligibility criteria, admit card, exam details, result, counselling, seat breakup and so on, read below. Candidates are requested to keep a track of the below listed Important Dates of BHU UG 2019, so that they do not miss out on any requisite step in the admission process. However, the dates are tentative, subject to change owing to release of the official notification by the university regarding BHU UET 2019. B.A. (Hons.) Arts: May 12, 2019, 9:00 a.m. - 11:00 a.m.
B.A. (Hons.) Social Sciences: May 12, 2019, 9:00 a.m.- 11:00 a.m.
B.Sc. (Hons.) Maths: May 13, 2019 9:00 a.m. – 11:00 a.m.
B.Sc. (Hons.) Biology May 15, 2019, 9:00 a.m. - 11:00 a.m.
B.Com. (Hons. )/ B.Com. Financial Markets Management: May 14, 2019 9:00 a.m. - 11:30 a.m. The Eligibility Criteria for BHU UG 2019 programmes is listed below. Candidates are required to carefully go through all the requirements before proceeding on the application form. The BHU UET 2019 eligibility criteria for all the courses are to be compulsorily fulfilled by the candidates. a. The candidate should have secured a minimum aggregate of 50% in 10+2 or equivalent examinations. a. The candidate should have secured a minimum aggregate of 50% in 10+2 or equivalent examinations. For B.A. (Hons.) Economics, the candidate should have mathematics as their subject in HSC examinations. a. The candidate should have secured a minimum aggregate of 50% in 10+2 or equivalent examinations with Commerce/ Economics/Mmathematics/ Finance/Financial Markets Management/Computer Science/Vocational Courses as one of the subjects. The candidate should have passed in the listed subjects to be eligible. a. The candidate should have secured in 10+2 or equivalent examinations a minimum aggregate of 50% of subjects physics, mathematics, and any one of the following subjects: Chemistry, Statistics, Geology, Computer Science, Information Technology and Geography. The candidate must have passed in all the three subjects. a. The candidate should have secured in 10+2 or equivalent examinations a minimum aggregate of 50% of subjects Physics, chemistry, and any one of the following subjects: Biology, Geology, and Geography. The candidate must have passed in all the three subjects. The candidate should not be more than 22 years as on 1 July 2019. Ideally, his/her DOB should fall on or after 1 July 1997. The BHU UG 2019 application form was released on February 10, 2019 in online mode. Before filling the BHU Undergraduate Entrance Test application form, candidates had to first complete the online registration process of BHU UG 2019. The last day for filling the BHU UET 2019 application form was March 16, 2019. Although, the university opened the application window for completing the registration process of the registered candidates form in between April 7, 2019 (11 pm) to April 8, 2019 (11 pm). The entrance test for BHU Undergraduate programmes are expected to be held in 115 cities across India for the computer based exam and in 45 exam cities for the offline examination. Candidates are supposed to select the exam centres of their choice as per the mode in which they wish to appear for the examination. The exam centres where the candidates has to appear will be provided in the BHU UET 2019 admit card which will be released online a week before the examination. However, the university has the right to cancel a centre without stating any reason. In that case, the candidate will be allotted another centre on the basis of preferences listed by him/her in the BHU UET Application Form 2019. Candidates would be able to download their admit cards for BHU UET 2019 one week prior to the date of the test. BHU UET 2019 admit cards can be downloaded through official link given here by providing unique registration number given to the candidates at the time of filling the BHU UET 2019 online application form. Additionally, notifications regarding BHU UET 2019 Admit Cards will be sent to candidate’s email id and mobile no. Hence, candidates are required to give out their correct contact details while filling the BHU UET 2019 application form. In case of any discrepancy, the candidate should immediately contact the Office of the Controller of Examinations. The university will not consider late intimation of discrepancies. Candidates will not be allowed to sit for BHU UET 2019 without possession of their BHU UET admit card and Aadhar card. Also, candidates will be expected to preserve their admit cards of BHU UET 2019 even after their entrance exams. Candidates are required to have a look into the BHU UET 2019 Exam Pattern so that they can prepare themselves for the test accordingly. The questions in BHU UET 2019 will be MCQ based where the candidate will have to choose the correct answer out of four options. The exams for the mentioned courses will consist of 150 questions and will be of 450 marks. The mode of BHU UET for 2019 will be both online and offline. There will be negative marking in the BHU UET 2019 examination. One mark will be deducted for each incorrect answer and three marks will be given to each correct answer. Every non-attempted question will be awarded zero mark. Candidates can download the BHU UG sample papers to practice for BHU UET 2019. Careers360 brings you BHU UET sample papers of previous years which are the official question papers. With the BHU UET sample papers, candidates can check their preparation level of the entrance test. Check here to download and solve the BHU UET sample papers of each subject. Most importantly the sample papers for BHU UET 2019 are free of cost, therefore candidates need not to spend a single paisa for downloading the BHU UET Sample Papers. Banaras Hindu University will be providing BHU UET 2019 Exam Instructions. Candidates are advised to go through the below listed instructions of BHU UET 2019 which they must follow to avoid any problem during the test. 1. Candidates will be provided with a separate question booklet and answer booklet. Each of the questions will have four options out of which the candidate will have to encircle the correct one. 2. There will be negative marking in the test. One mark will be deducted for each incorrect answer and three marks will be awarded to each correct answer. Zero marks will be awarded to questions left non-attempted. 3. Candidates will be allowed to use only blue/blank ink/ball pen. Candidates are strictly advised to avoid correction or striking of already encircled options. 4. Candidates have to carry their admit card and Aadhaar on the BHU UET Exam day. If the candidate has not been issued Aadhaar cars, he/she should carry passport no./ration card no./any bank account no/any valid government ID. 5. No candidate will be allowed to enter the exam hall after thirty minutes of commencement of exam and will not be allowed to leave the exam hall till the end of the exam. Banaras Hindu University will be announcing BHU UET 2019 answer keys tentatively within a week of the conduct of the entrance exam. The answer keys of BHU UET 2019 will be announced in two stages. The first stage will be a provisional one. Candidates will be able to download the provisional answer key of BHU UET 2019 through the official link given in this page. In case of any discrepancy in the BHU UET answer key (provisional), the candidates can object agains the same in a limited window provided. Once, the university accepts the objections, a final answer key of BHU UET 2019 will be announced. 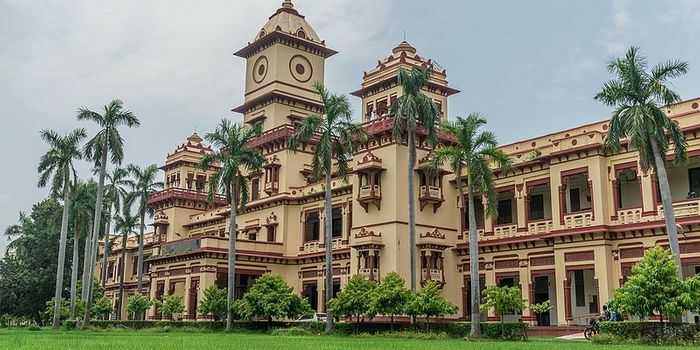 The Banaras Hindu University will be announcing result of BHU UET 2019 in between June 15 to June 20, 2019. Candidates can access their results through the official link given in this page. The candidates can access their BHU UET result by providing their Roll Number and Registration Number. Additionally, the BHU UET 2019 results will comprise candidate’s marks, overall merit, and merit within the category. The BHU UET results 2019 will be deemed to be final. A merit list of BHU UET 2019 will also be prepared on the basis of BHU UET result 2019. The university may also publish a BHU UET 2019 merit list mentioning the names of the test takers along with their marks, category, rank and roll number. The merit list of BHU UET 2019 will be announced soon after the announcement of BHU UET results. Candidates with the help of BHU UET merit list can check their All India Rank as well as Category-Rank. Candidates may note that the university may publish the BHU UET merit list 2019 for each category namely General, OBC, SC, ST, PwD and Ward. The merit list of BHU UET 2019 will also be considered for determining the cut off of BHU UET 2019. Banaras Hindu University will determine the BHU UET 2019 cut off for admissions to the undergraduate programmes. The university will release BHU UET cut 2019 after the declaration of results along with the counselling process. The cut off of BHU UET 2019 indicate the minimum marks required to get shortlisted for BHU UET 2019 admissions for the respective programme. Further, the university will be announcing the BHU UET cut off 2019 for each and every category including General, OBC, SC, ST, PwD and BHU Ward. Aspirants may have a look into the previous year BHU UET Cut off 2018. BHU UET 2019 Counselling will begin after the declaration of BHU UET 2019 results, cut offs, and merit list. Candidates will be deemed suitable for counselling only if they fulfill eligibility requirements and qualify in BHU Entrance Test 2019. The shortlisted candidates will be sent a call letter for counselling which the candidate can download from the candidate segment on the BHU UET online portal for 2019. The counselling process will be computerized. The candidates will have to fill an online preference form and submit it in the counselling venue. The allotment will be done by computer on the basis of order of merit and candidate’s preference. BHU UG 2019 offers 5216 seats in its undergraduate programmes. Refer to the list below to find out programme wise seat matrix which BHU UET 2019 grants admissions to. The candidates will get an idea of the distribution of seats between males and females and amongst programmes offered by BHU. Important Note: All the details (dates, timings, number of seats, exam pattern, guidelines, and so on) are tentative. These details are subject to change as the official notification is yet to be released. Candidates are therefore requested to check the university site and Careers360 on a regular basis so that they stay abreast of the details of BHU UET 2019. Aspirants may go through the probable break up of reservations in BHU UET. Reserved categories should have all the official evidences of their status signed by concerned authoritative bodies kept ready. Ans: The application forms for BHU PET was released on February 10, 2019. The last date of filling the application forms was March 16, 2019. Q: What is the application fee for BHU UET 2019? Ans: The application fees had been revised. Candidates belonging to the general category had to pay Rs. 600 for a single course and Rs. 300 extra in case of added courses, while SC/ST/PwD candidates have to pay Rs 300 for a single programme and extra Rs 150 for added programmes. Q: In what mode is the examination conducted? Q: How to download the BHU UET Admit Card? Q: How to make changes in the application form? Ans: BU does not encourage mistakes in the application form. But, if candidates have made an error while filling and wish to rectify the same they can do so by creating a fresh registration. Q: What documents should be taken for the examination? Ans: Candidates have to present a hard copy of their BHU UET admit card and also carry along with them a photo ID proof. Q: Does BHU provide answer keys? Ans: Yes, BHU will release the answer keys roughly 5 days after each examination.